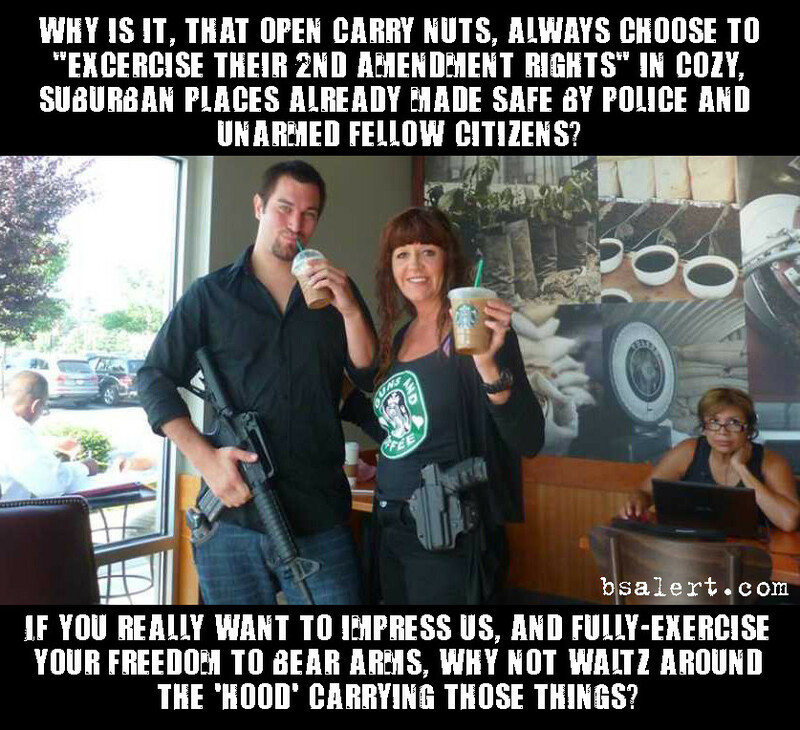 If they really want to impress us, why not patrol the hood with their AR15s and Chinese-made AK-47 copies? Then perhaps we'll have more respect for you guys? 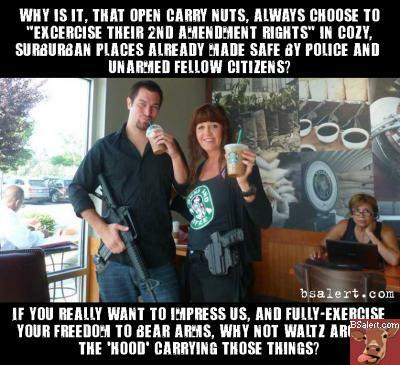 How about because the idea is freedom to carry and freedom from being attacked. The idea is not to start a fight, the ideal is to maintain the peace. Understand me and attend me carefully, we the people are the bottom line when it comes to maintaining the peace, so if you are one of those belligerents who think you are tough because you have a gun, you are sadly mistaken and you are one who should not own a gun until you learn that carrying a gun should make you humble and quiet.